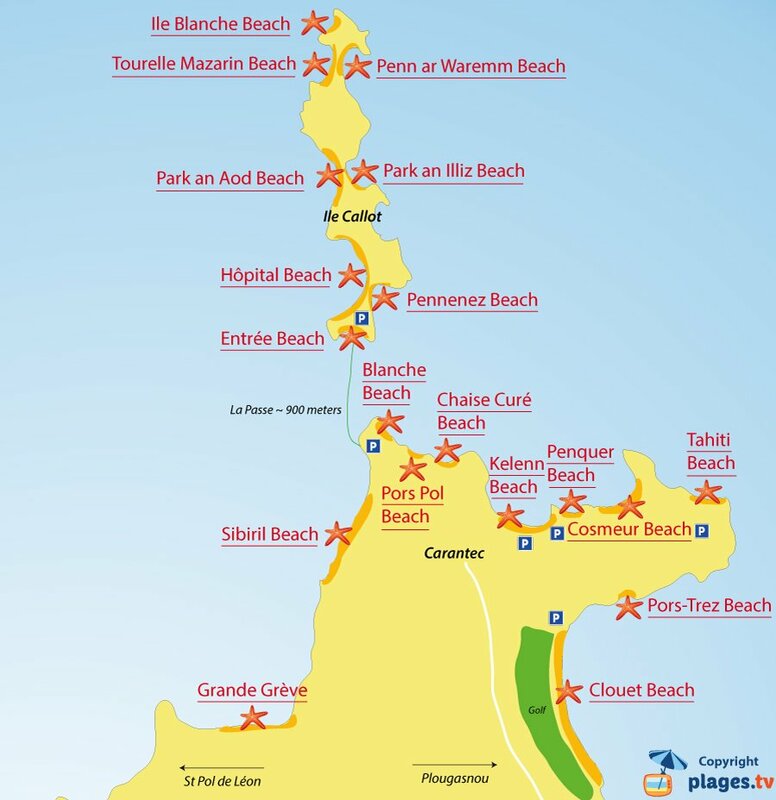 You will find 19 beaches in Carantec :18 sandy beaches, 4 pebble beaches and 5 creeks. 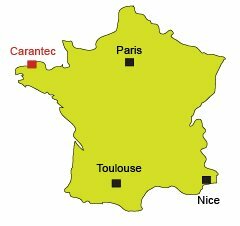 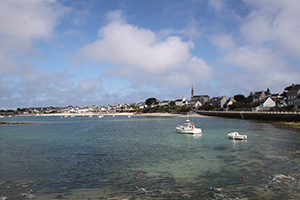 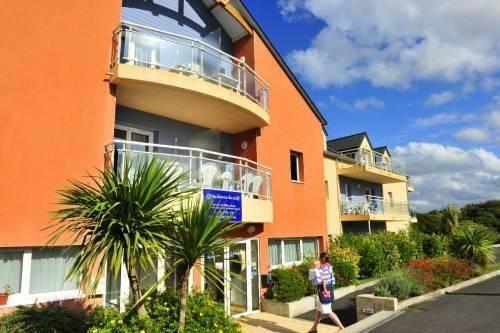 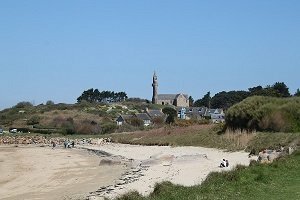 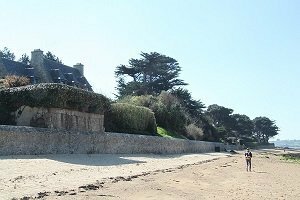 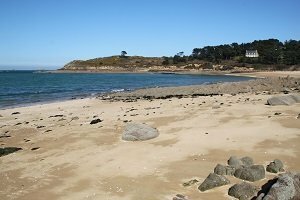 Located between the bay of Morlaix (to the east) and the bay of St Pol de Léon (to the west), the seaside resort of Carantec is one of the finest destinations of Finistère in Brittany. 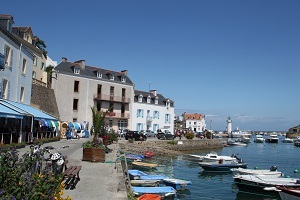 There are beautiful villas and is a relatively chic destination. 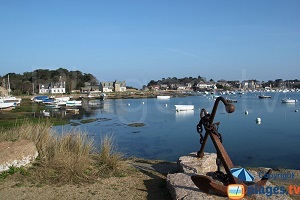 Its situation on a peninsula gives it an exceptional coastline. 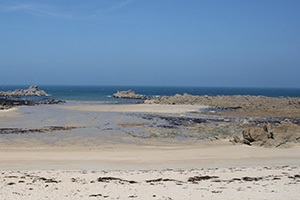 There are many beaches in Carantec. 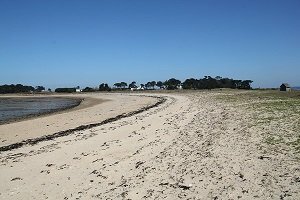 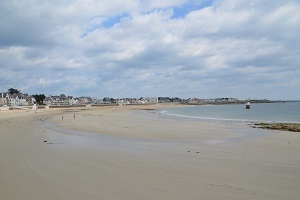 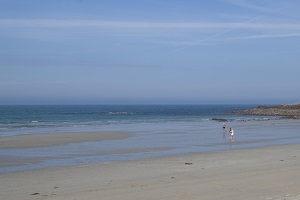 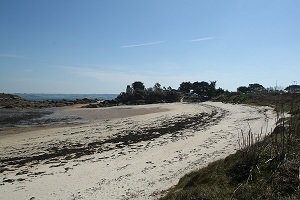 The busiest is that of Kelenn, probably because of its many facilities : seaside restaurants, summer beach club for children, first aid post, playground…But it would be a shame to be limited to this central beach…many wild beaches deserve to come in Carantec to enjoy the beauty of this corner of Brittany. 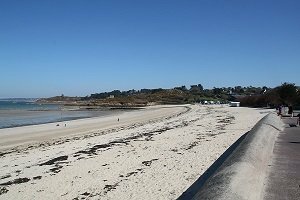 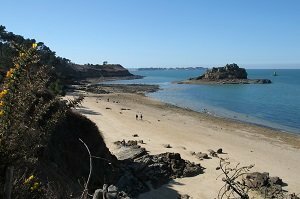 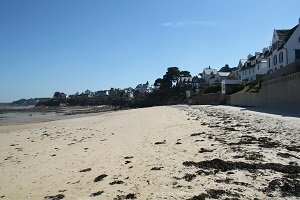 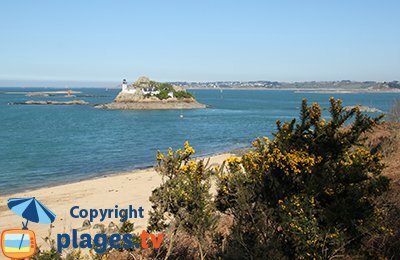 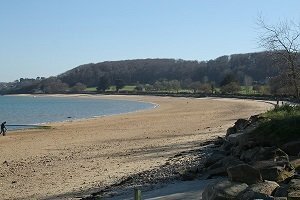 The beach of Tahiti offers one of the most beautiful frames of this coast of Morlaix. 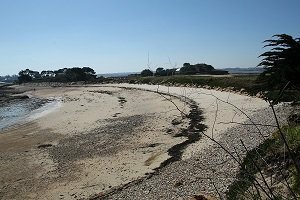 Callot Island turns into a peninsula at low tide. 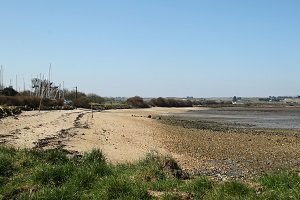 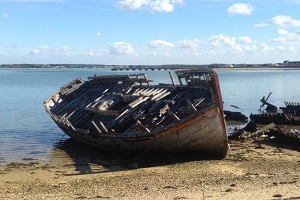 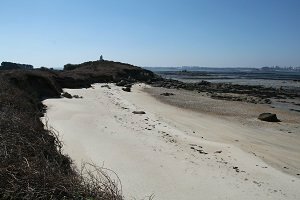 It is easily accessed by a subermersible trail (check tide times before leaving). 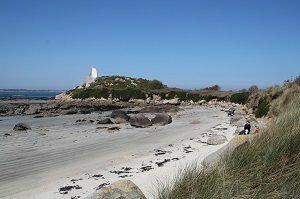 Louet Island off Carantec may be the occasion to spend unusual holidays. 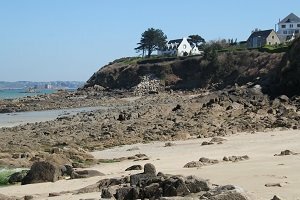 Indeed, the lighthouse keeper’s house has been restored and can be rented (up to 10 people). 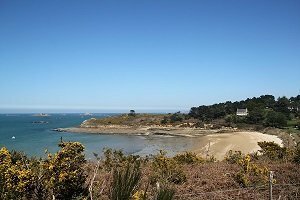 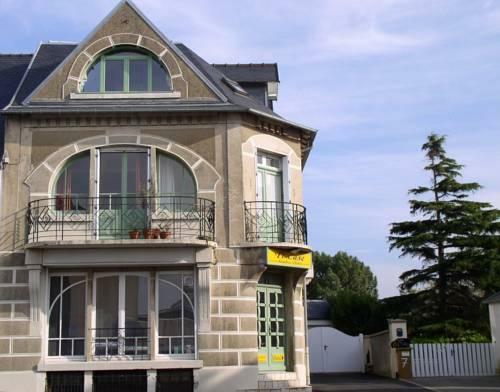 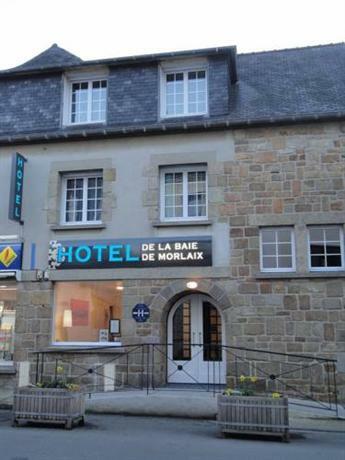 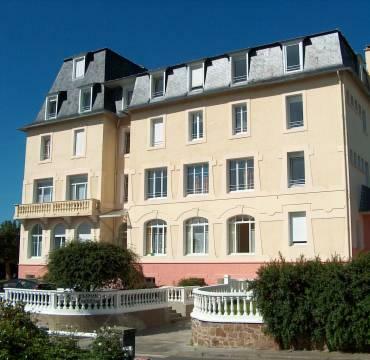 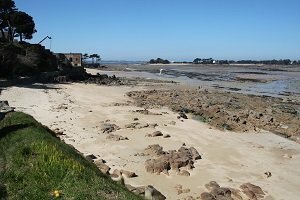 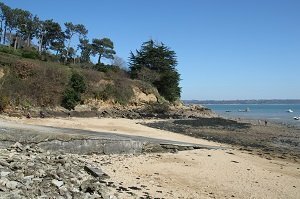 Ideal for a quiet holiday…Remember to book early, the waiting list is long…Beautiful view of the Taureau castle (originally to defend the bay of Morlaix then was transformed into a prison…abandoned in the 80’s, it is visited in summer). 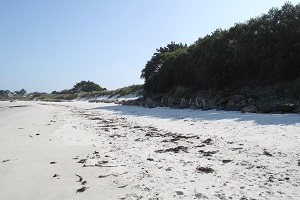 Note that dogs are prohibited on the beaches of Carantec and Callot Island from mid-June to mid-September. 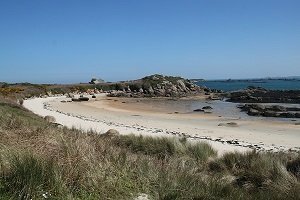 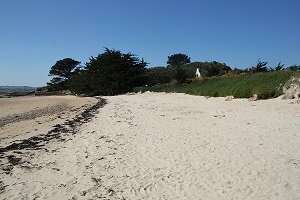 Nearby, the beaches of Plougasnou complete the choice without forgetting the beach of St Pol de Léon in the capital of the Breton artichoke.